Lots o' stuff from the Youth Services team at the Grande Prairie Public Library District, serving Hazel Crest and Country Club Hills, IL. One of our favorite entertainers, Thaddeus Rex, visited Grande Prairie last month, and had an"absolutely awesome day!" To join the T-Rex Reading Club, go to (www.thaddeusrex.com). It's free, and you'll be glad you joined. Don't Miss this FREE Family Event! Join us at the library on Sunday, May 1st at 2pm for a FREE performance by the fabulous Thaddeus Rex! We'll laugh, sing, dance, and have a great time! This program is sponsored by the Grande Prairie Public Library Board of Trustees and will be hosted by library trustee, ANNE SUMMERS. You can learn how to make your own shield here. We have added a bunch o' links to the websites of local schools over in the margins. Where the Accelerated Reader lists were available, we have linked to those, too. Sadly, we do not have the newest versions of the Sykuta School Accelerated Reader list. However, it is available on-line through the Sykuta School Website. Yay! We'll add a link in the margin on the left to make it easy for you to find. A few of you have come in looking for information on how much stuff cost during the Great Depression. There is a great website here that provides many prices. (You could have bought a new car for under $300! Of course, you probably wouldn't have had $300, but still...) Even if you don't have this assignment, the website is pretty cool. For more general information about the Great Depression, check the University of Illinois at Urbana-Champaign site. There is also a great list of relevant websites here. The Children's Lit Awards were announced today! The winners have been announced! Pay attention, because these are the books your teachers will be assigning in the future! The winner of the 2005 Caldecott Medal is Kevin Henkes, author and illustrator of Kitten's First Full Moon. The Caldecott Honor winners are Barbara Lehman who wrote and illustrated The Red Book, E. B. Lewis who illustrated Coming On Home Soon (written by the equally amazing Jacqueline Woodson), and Mo Willems who wrote and illustrated Knuffle Bunny. The winner of the 2005 Newbery Medal is Cynthia Kadohata for Kira-Kira. The Newbery Honor winners are Gary D. Schmidt for Lizzie Bright and the Buckminster Boy, Gennifer Choldenko for Al Capone Does My Shirts, and Russell Freedman for The Voice That Challenged a Nation : Marian Anderson and the Struggle for Equal Rights. The winner of the 2005 Printz Medal is Meg Rosoff for how I live now. The Printz Honor winners are Kenneth Oppel for Airborn, Gary D. Schmidt for Lizzie Bright and the Buckminster Boy, and Allan Stratton for Chanda’s Secrets. The winner of the Coretta Scott King John Steptoe New Talent Author Award is Barbara Hathaway for Missy Violet and Me. The winner of the Coretta Scott King Author Award is Toni Morrison for Remember : The Journey to School Integration. The Coretta Scott King Author Honor books are The Legend of Buddy Bush by Sheila P. Moses, Who Am I Without Him? : Short Stories About Girls and the Boys in Their Lives by Sharon G. Flake, and Fortune’s Bones : The Manumission Requiem by Marilyn Nelson. The winner of the Coretta Scott King John Steptoe New Talent Illustrator Award is Frank Morrison for Jazzy Miz Mozetta (written by Brenda C. Roberts). The winner of the Coretta Scott King Illustrator Award is Kadir Nelson for his illustrations of Ellington Was Not a Street (written by Ntozake Shange). The Coretta Scott King Illustrator Honor winners are Jerry Pinkney for illustrating God Bless the Child (written by Billie Holiday), and Leo and Diane Dillon for illustrating The People Could Fly : The Picture Book (written by Virginia Hamilton). The Siebert Medal went to Russell Freedman for The Voice That Challenged a Nation : Marian Anderson and the Struggle for Equal Rights.. The Siebert Honor awards went to James Rumford for Sequoyah: The Cherokee Man Who Gave His People Writing (translated into Cherokee by Anna Sixkiller Huckaby), Sy Montgomery for The Tarantula Scientist (photographs by Nic Bishop), and Barbara Kerley for Walt Whitman : Words for America (illustrated by Brian Selznick). The recipient of the Mildred Batchelder Award is Joelle Stolz for The Shadows of Ghadames (translated to English by Catherine Temerson). The Margaret Batchelder Honor winners are Bodil Bredsdorff for The Crow-Girl : The Children of Crow Cove (translated by Faith Ingwersen) and David Chotjewitz for Daniel Half Human and the Good Nazi (translated to English by Doris Orgel). The Schneider Family Award winner in the picture book category is My Pal, Victor, written by Diane Gonzales Bertrand and illustrated by Robert L. Sweetland. The winner in the middle-school category is Becoming Naomi Leon, by Pam Munoz Ryan. The winner in the teen category is My Thirteenth Winter : a Memoir by Samantha Abeel. The recipient of the Margaret A. Edwards Lifetime Achievement Award is Francesca Lia Block. The Andrew Carnegie Award was won by Weston Woods for The Dot. Russell Freedman will deliver the 2006 May Hill Arbuthnot Honor Lecture. The Laura Ingalls Wilder Medal was awarded to Laurence Yep. Congratulations to all the winners. Look for a special book display (and book list) of these titles at the Grande Prairie Public Library in the days ahead. NOTE: The Grande Prairie Public Library does not yet have all these titles, but will be adding them to our collection in the days to come. We recently got a new sound system (and projector) in the library meeting room / theater and IT SOUNDS GREAT! No more straining to understand what’s being said in a movie or trying to read the actors’ lips. We’re talking’ AMAZING sound, folks! To celebrate, we are launching a Family Film Night. The last Thursday evening of each month, we will show a film that your whole family can enjoy. We will also be showing an extra film each Sunday in February to celebrate African-American History Month. We will have some chairs set up, but we will also leave some open space on the floor in case you want to bring along your favorite blanket or pillow so you can be really comfy. You are also welcome to bring a small (neat) snack. Children under the age of 8 must be accompanied by an adult. Remember, this is a FAMILY program, so take advantage of the chance to share some time together watching a FREE film at the library! 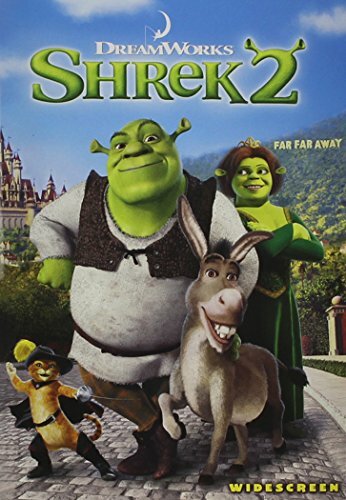 The first film will be Shrek 2, beginning promptly at 7 p.m. on Thursday, January 27th. This film is rated PG and runs for 92 minutes. Check the Youth Services blog for more upcoming films or come by the library and pick up a full schedule. Join us on Monday, January 17th from 1 p.m. to 4 p.m. when Library Trustee Gloria Tillman hosts a King Day Celebration! The celebration will feature films, games, snacks, drawings for beanie babies. A special performance by the Calvary Puppet and Drama Team from Glenwood will be featured at 3:30 p.m.
No sign-up is required, so be sure to drop on by Monday for this FREE celebration of Dr. King's life and legacy. All aboard! Kids of all ages, and their grown-ups, are invited to put on their jammies, grab their teddy bears, and travel to the library for a fantastic family storytime on Tuesday, January 18 at 7 p.m.
At Slumberland Express Pajama Storytime, we read some stories, make a *simple* craft, and have a small snack. This month's theme is SNOW. Children under the age of 8 must be accompanied by an adult and registration is required. Stop by the library or call to register for Slumberland Express. See you there! In an effort to better serve you, our library community, the Youth Services Department would like to ask you about library programming -- what you attend, why you don't attend, what kinds of programs you would like to see... Please pick up a programming survey in the library and answer a few questions for us. Return the survey to the youth services desk by March 1, 2005. Not only will you have helped us understand how we can best serve our community, but you will be entered in a drawing to win one of two prizes: 20th Century Children's Book Treasury, which collects 43 of the most loved children's picture books in one beautiful volume or America the Beautiful, the glorious suitable-for-kids-and-adults alike pop-up book by artist Robert Sabuda. In addition, the first 100 people to complete the survey will receive a special "Celebrate Libraries" pencil. The survey is open to all adults ages 18 and up. One survey per adult, please. Thinkquest has a pretty neat Black History site up here. The Games and Activities Zone section may be especially useful to parents and teachers and includes a number of coloring sheets, crossword puzzles, art ideas, and more. Check it out! Gale Resources (they print a number of the reference books we have here) has a free Black History Month site here. The site includes activities, biographies, links, literature, quizzes, a timeline, and more. Following this past weekend's disaster in Asia, some of you have been in looking for books about tsunamis and earthquakes. We have pulled all of the books we own about these topics, as well as books about the countries that were most affected, and have them on a special display down in youth services. You can also check out current news at Yahoo!, or check out this website about tsunamis. This 'blog contain links to non-library sponsored remote services. The Grande Prairie Public Library and its employees are not responsible for the content, reliability or availability of these services.